Although asbestos was banned in the ‘90s and since then people have been gradually getting rid of it, whenever possible, still in many UK dwellings there are materials consisting asbestos, which can even after many years pose a threat to one’s health and well-being. As time goes by, constructions made of asbestos may deteriorate or get damaged, and as a result, asbestos within them may become friable and airborne. Yet, which parts of construction were made of asbestos? 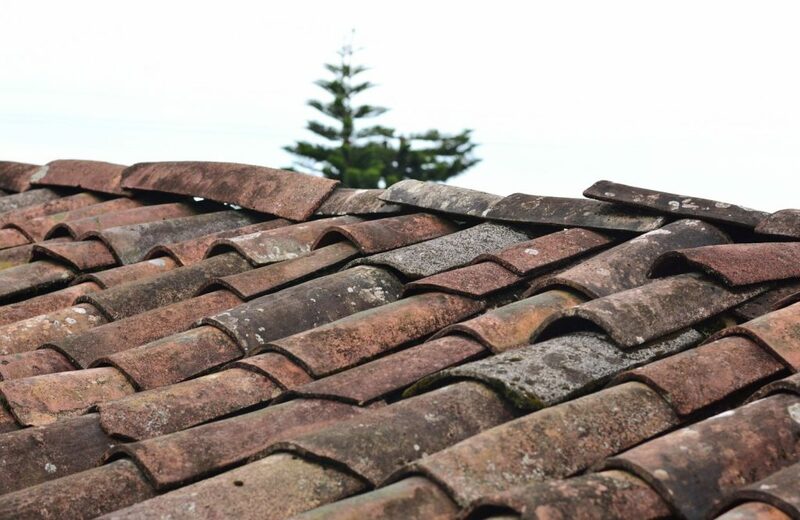 Thanks to its resistance to heat, durability and affordability, it was often used in tiles, insulation, piping or roofing materials; hence it is still often found in garages and their roofs. Thus, if your garage was built over 20 years ago, it may require a professional test for asbestos presence. Many old garages which were built prior to 1990 had garages made with materials consisting of asbestos. Not only was it a cheap option, but also it was – at that time – understandable, since asbestos provided the dwelling with sturdy material of insulating, sound-absorbing and heat-resisting qualities, thus, asbestos had almost all the desirable attributes when it comes to building materials. No wonder that roofs in garages where equipped with it, but now, it is quite a concern. Yet, is asbestos dangerous in a place where people do not spend so much time daily? Unfortunately, yes as it may still pose a threat, since even short or remote exposure to asbestos may be hazardous, if airborne fibres of asbestos get into one’s lungs. What is more, it needs to be properly investigated to estimate what asbestos removal works are needed in your garage. However, most asbestos containing materials require proper managing, since uneducated, non-specialised attempt to solve the issue of asbestos may lead – unintentionally – to disturbance of its particles and hence, their floatation in the air. From there, it is an easy way to entering lungs. Ultimately, time acts against asbestos and makes it prone to deterioration and friableness. What shall I do in case of having asbestos in my garage? The most efficacious and safe option is to contact local professional asbestos removal contractor which will carry appropriate surveying and sampling of asbestos from your garage, and will help you choose the best way to dispose of it without putting your family or neighbours at risk associated with asbestos removal works. Such companies, like for example Blue A Ltd, provide their clients with comprehensible services connected with such specialised procedures and ensure that the hazard of crumbling and contamination of the air is eliminated. It is essential that an experienced company is employed since very often asbestos containing materials are not easily recognizable. Also, trained stuff may help you evaluate the condition of the asbestos and estimate the finances connected with asbestos removal – sometimes, money-wise, it is a better option to simply encapsulate ACMs rather than to dispose of it entirely. Absolutely the most important thing is not to disturb asbestos; therefore expertise in this field is crucial to ascertain the highest level of safety possible. If you think that your garage need to be inspected, do not wait and contact experts. After all, this is your and your family’s health that is the most important. Identifying the type and condition of asbestos, as well as preparing a management plan and conducting professional removal is all it takes to make your house and garage safe and carefree.